Julie Gabriel is a registered nutrition specialist (RHN) educated at the Canadian School of Natural Nutrition. She launched a series of workshops titled ‘New Mom’s Diet’ in Toronto. She is in the process of launching her own organic skincare line called Petite Marie Organics. 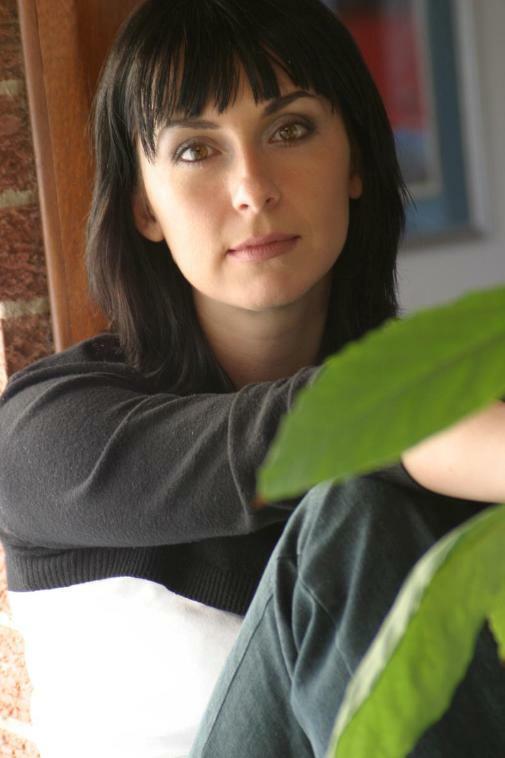 Julie has been writing and editing fashion and beauty for about 15 years. In 1992 she worked in production at CNN’s Style with Elsa Klensch. She was the associate beauty editor in Harper’s Bazaar (Eastern European editions, 1998-2000), beauty editor in Atmospheres (2001-2001) and has written over five hundred articles and features on fashion, beauty and lifestyle. She writes on her blog that thanks to her pregnancy, she reconsidered her passion for caviar-based face creams, obnoxious perfumes, and intricate hair highlights. Her conversion to a green goddess was instant and painless. She lost her acne for good, and hasn’t developed a single new wrinkle, she smells good and her hair looks better than ten years ago. Thus being said, don’t expect her to insist that readers abandon manicures or stop shaving their underarms. She is living proof that you can live green and feel good about your looks. A Canadian living in the UK, she is in a unique position of being able to offer the best the New and Old Worlds came up with when it comes to natural beauty. The promise of beauty is as close as the drugstore aisle—shampoo that gives your hair more body, lotions that smooth away wrinkles, makeup that makes your skin look flawless, and potions that take it all off again. But while conventional products say they’ll make you more beautiful, they contain toxins and preservatives that are both bad for the environment and bad for your body—including synthetic fragrances, petrochemicals, and even formaldehyde. In the end, they damage your natural vitality and good looks. Fortunately, fashion writer, nutritionist, and beauty maven Julie Gabriel helps you find the true path to natural, healthy, green beauty. She helps you decipher labels on every cosmetic product you pick up and avoid toxic and damaging chemicals with her detailed Toxic Ingredients List. You’ll learn valuable tips on what your skin really needs to be healthy, glowing, and youthful. Julie goes one-step further—and shows you how to make your own beauty products that feed your skin, save your bank account, and are healthy for your body and the environment. I’d LOVE to be on this tour! 🙂 In December thoguh, since I have several in November. What a great book idea! I definitely try and shop green but I’ve noticed that even with some “green” products there are a lot of chemicals. It’ll be interesting to read what Julie Gabriel has to say. Thanks! I would be interesting in hosting a tour in December. We’ve talked by email and I wanted to let you know that my google reader subscribers have more than doubled since then! 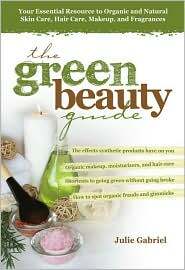 This books looks fabulous and is right up my alley with going green and less toxins in/on our bodies/environment. I’d love to participate in The Green Beauty Guide Tour for the end of December. It looks like such a great book! If it’s not too late, I’d love to participate in this blog tour! I plan to post a review of this in early December, so if you want to add me to the tour, let me know!